We may be a small town car shop, but we’ve got a big dealership mentality. 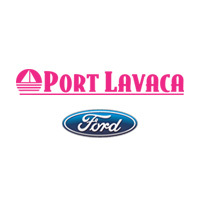 From our inventory and staff to our amenities and prices, there’s nothing small about Port Lavaca Ford. Since 2002, Ben Keating and his team at Port Lavaca Ford have been the best dealership in the Corpus Christi, Victoria, Bay City and Edna area. You won’t find a better selection of Fords and used vehicles around. Our vast selection is simply unbeatable. From great beginner Fords like the Fiesta or Focus to the real powerhouses like the F-150 and Expedition, there is a Ford for everyone at Port Lavaca Ford. And in case you’re looking for something else, you’ll be impressed with our large selection of pre-owned vehicles, making sure you get the best bang for your buck. You can even quickly get a quote for your trade-in to get a better idea on what sort of vehicle you can get next. Driving away in a new Ford has never been easier, either. Our finance team is ready to make things happen for you with trust, knowledge, and understanding. We’re here to take the stress out of the process. We have a large network to draw from, making our ability to get you the best rate and best deal unbeatable. We sell over 1,500 vehicles a month in Texas alone, so we’re pros at this. You can even apply for online approval to get the ball rolling. Once you roll off the lot with a new Ford or used vehicle, you can rest assured that our service team will have your back in the long run. With over 120 years of combined experience, our technicians will treat your vehicle well. You’ll even get updates on the status of your care through email, phone, or text. Whether it’s your teen’s first car, or that truck you need to get the job done, Port Lavaca Ford is the right place for you, so stop by today and drive away in your very own Ford.